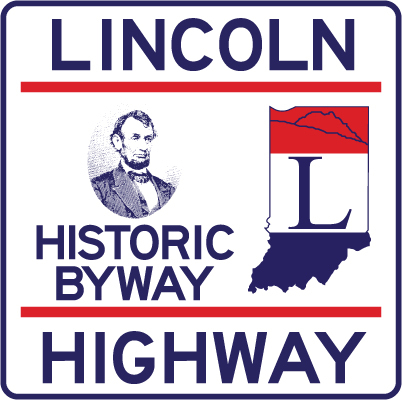 The India na Lincoln Highway Association has contracted with Abonmarche, a South Bend consulting firm, to help us craft a Corridor Management Plan for both alignments of the Lincoln Highway Byway in Indiana. We plan to have the document completed by the end of 2016. A big part of developing the Corridor Management Plan will be community meetings, open to the public, to review the history of our BYWAY designation, give an update on our status and activities today, followed by open dialogue in small groups to discuss such things as preservation targets, tourism opportunities, educational needs, signage, and more. Below is the schedule for those meetings in May and early June. We want to get these dates on your calendars and hope you will attend one or more of these meetings as your schedule allows. We hope that those living or working in cities like Columbia City, Ligonier, Elkhart, Mishawaka, New Carlisle, Valparaiso and more can attend one of these meetings as they are intended to be regional in nature. We truly value the input of each of you (and your friends/contacts) so please come and participate.